A Federal High Court in Abuja yesterday restrained the Independent National Electoral Commission (INEC), All Progressives Congress (APC) and its National Chairman, Adams Oshiomhole, from conducting fresh congresses in Imo until August 21. 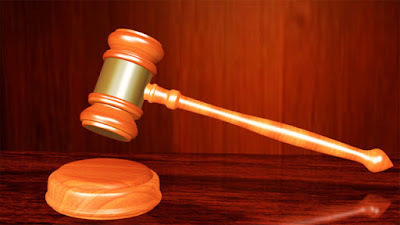 The court also ordered the plaintiffs-Osita Izunaso, Ben Uwajimogu, Mathew Omegara, Hilary Ekeh and Patrick Uzoukwu to maintain the status quo until August 21. Justice Babatunde Quadri gave the order while ruling on an application filed by counsel to the plaintiffs, Ahmed Raji (SAN), and restrained all parties from conducting any primaries in the state, councils and wards until the next adjourned date of the suit. He gave the order on the ground that if he failed to restrain the defendants from conducting the primaries before the next adjourned date, the suit will become a mere academic exercise. Raji further told the court that although the defendants were duly served the court order restraining them from holding congresses on July 20, they went ahead to do so. He argued that as a result, the plaintiffs filed a motion ex-parte on July 23, praying the court to set aside the purported congresses. He stated that they also asked the court for an injunction restraining APC and its chairman from recognising and swearing-in those elected at the congresses. “The court, however, declined the order and asked us to put them on notice, which we did and duly served all processes on them but there has been no response from them,” Raji added. Responding, counsel to the defendants, Oladipo Okpeseyi (SAN), told the court that he had just been briefed on the matter. Okpeseyi said he filed a memorandum of conditional appearance, saying his clients were unable to file the proper responses owing to the political development in the country occasioned by mass defections from the party. He consequently prayed the court for an adjournment to enable him file the necessary processes. But counsel to the plaintiffs disagreed with Okpeseyi’s reason for his inability to file his processes, stressing that such reasons were not tenable in law. Justice Quadri in his ruling, ordered all parties in the suit to maintain the status quo and not conduct any primaries until the next adjourned date.